All are welcome to our Fall Festival Fundraiser! In addition to a delicious pizza dinner offered, all the families that attend enjoy playing games and winning prizes. There is also face painting, a photo booth, and a book nook! All money raised goes towards the purchase of special classroom materials. It's a wonderful evening for all! Individual and class photographs are taken annually at Rainbow Factory by Melynda Marie Photography. There are also opportunities for sibling photographs to be take as well. Melynda gives each Rainbow Factory student an individual sitting, and takes the time to let each child's personality shine! We invite parents to visit our classrooms on a special day and time. Our students are always excited to share their school day! Our students have spooktackular time celebrating Halloween! After a playing games and engaging in activities in the classroom, all our students go trick-or-treating throughout the building. Parents then join us for our Halloween Parade and songs. In late December students and teachers alike enjoy presenting our Christmas Program to our families. The opportunity to perform is always an exciting way to build self confidence and have fun with our friends. We send our students off to winter break with happy hearts. We love celebrating the holidays at Rainbow Factory! For the week of Easter, the children participate in a variety of Easter themed activities. We always finish off the week with a school wide Easter Egg Hunt. This is always a special time for our families. All aboard! Every year our 4 and 5 year olds take a field trip together. For many of our students, this is the first time they have been on a school bus! This is an exciting and meaningful experience from beginning to end! We celebrate the end of our school year with a whole school potluck family picnic! It's a beautiful and delicious way to end the year. This event is always a favorite! Every June we offer summer camp for our students and preschool children in our community. 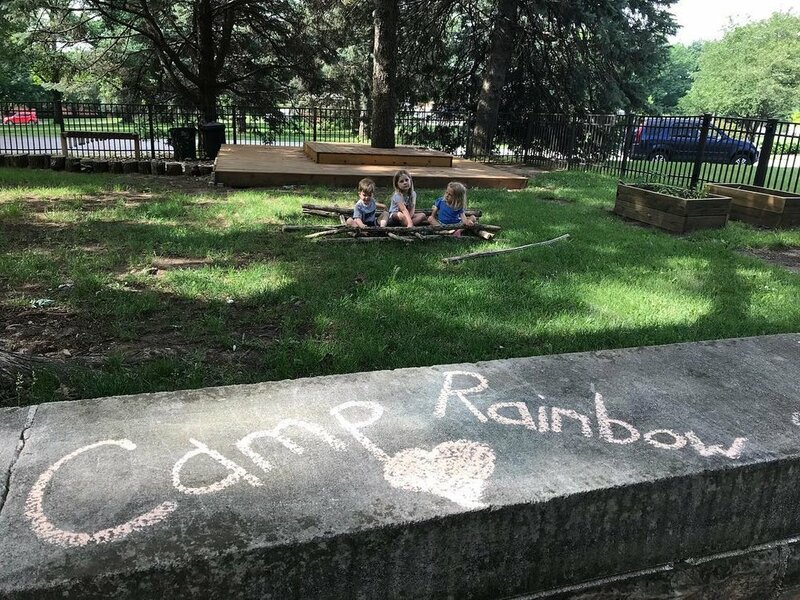 Camp Rainbow takes place Monday through Thursday from 9:00am-12:00pm. With engaging weekly themes, we ensure our campers have fun and develop friendships. 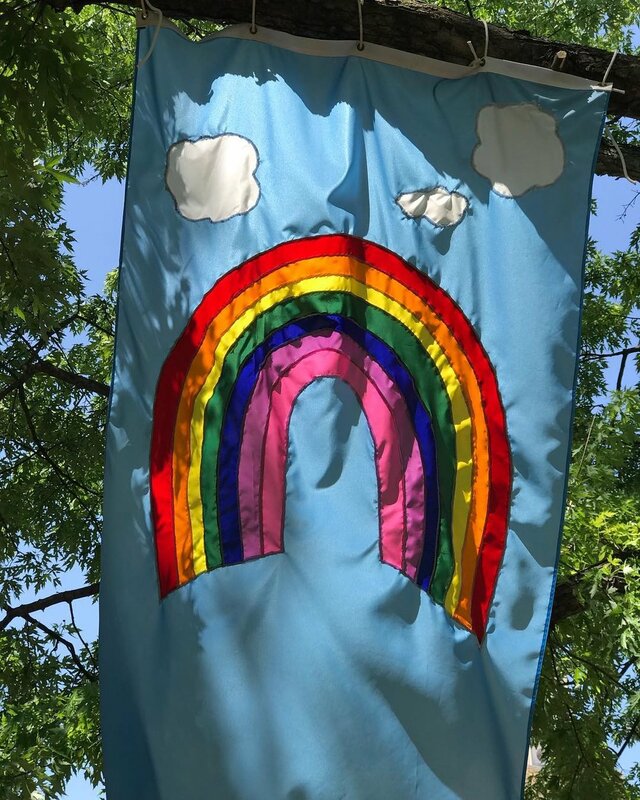 We finish up our summer by inviting all Rainbow Factory Families and supporters to walk with us in the Dundee Day Parade. It's a great way to connect with our community, and show our school spirit!